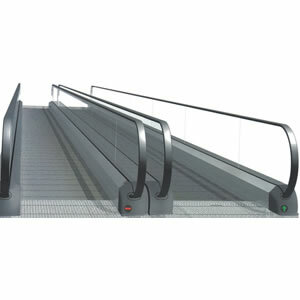 The company is engaged in manufacturing the lifts and escalators at an early stage. The company establishes a professional learn with the developing ideas of high starting-point investment, high level talents, high grade products. It introduces highly intelligent multi-functional NC punch press, plate sharing machine, bending machine etc. with high precision from the overseas countries. The company leads in the top grade foreign technology and the rich practical experience through the powerful information technology resources. It shows the noble and perfect styles and produces the humane and intellectual high-tech products. As a China moving walk manufacturer and supplier, our company has received ISO9001:2000 certificate. Through our unending efforts, we can provide a wide range of products, such as passenger elevators, goods elevators, villa elevators, and panoramic elevators etc. Because of their reliable quality and reasonable prices, our products are very popular with customers around the world. We have easy access to sea ports, airports and highways, which effectively reduce the shipping costs of our elevators.